With a tender heart, a drive for learning and a gift for sharing, Margaret brings her years of experience as a licensed professional counselor and a woman of faith to all her writings. Her insights and biblical understanding bring home principles we all can use - no matter the circumstances we are in. Outlining might be an obsession. It can be a great advantage, as a writer, to obsess a little before you start writing. Last month, we looked at how to create and use working outlines to sharpen your writing and improve your productivity. This month, the challenge is to go farther in outlining so you can accomplish more in your writing. Our Next-Step-of-Faith readers and writers are gaining more experience in writing for publication. Some of our writers have published books and some of you are working on writing longer stories. In writing a short story or a novel, you will benefit from using multiple outlines. Character outlines are especially helpful because they can give you a one-page reference point for identifying your character. Outline as many aspects of the characters before you start writing, and everything will be easier to develop as you write. 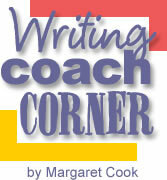 Develop an outline that covers the setting and special features you want to include. This can also include information about places and times. The better outline you can create, the easier it will be for you to picture the setting in your mind. Try dreaming up the details when you are doing something routine in your life. Building an outline of the plot is one of the best ways to be sure you can engage the reader in the story. The plot outline will literally let you plot the course of the story from the introduction that draws the reader into the action and holds their attention and engagement until the last word. This outline can include some of your essential details and the transitions that allow you to weave the threads of the story together. Pay attention to how good writers craft the plot. Try making a plot outline of your favorite story you have enjoyed by a writer that you believe is really gifted. Taking a story apart this way can help you see how to build a story of your own. Remember that you will want to revise the outlines as you are writing, so that they remain vibrant tools throughout the writing process. Try outlining your next article for Next-Step-of-Faith and then follow it when you write your article to see if you can improve the quality of your article and the speed at which you can produce a finished product. Copyright © February 8, 2007 – Margaret Cook. All rights reserved.